I can’t say enough about the guys at Wistia. Jolidrive is a simple and elegant way to access your online data. Get to know Jolidrive. I think it’s worth taking a look! There are benefits to checking out as much of the competition as possible (where/when affordable) for a legitimate period of time. Cart66 was that for me as I began eCommerce. WooCommerce is that for me now. 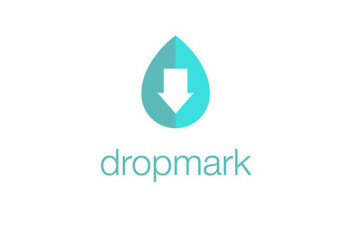 Dropmark® allows you to drop files right from your computer, or the web, to create organized collections—bringing together information like never before. Update: Hojoki closed as of September 2014. Notifications of actvity in cloud services (i.e.Dropbox, Google Drive, Evernote) via daily briefings by email or handy iOS app. Workspaces that bring related things from all your apps into one space. Discussions and comments on every object from my apps. In essence, modern day web projects often require sharing larger images, files and documents that aren’t suitable any more for email. It is preferable to use a service like Dropbox. Initial dilemma, however, is being notified as to when a client drops something in there. I often miss a desktop notification that the file has been put in there. 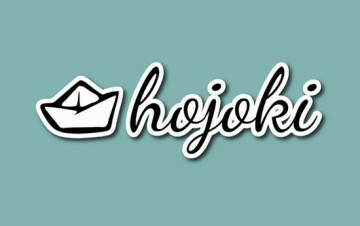 Hojoki prevents that and provides a place for comments (team messaging) and collaboration on what is to be done with that file. Do you remember signing up for email? I was in high school. In the 90s. Have you signed up for Twitter? There’s a little gift inside of every web browser, and it’s called the “web inspector”. Take a moment to learn about them. You’ll get to see how a website is really made. Timely tweets, posts, and updates; analytics, integrations, teamwork; from a web page, from your phone, from an app, from an email – they like to call it awesome. Buffer is a smarter way to share what you want to share on Social Media. Why use Buffer instead of regular Social Media posting? LinkedIn – it’s something I recommend if you’re in a professional field, which tends to be most working adults (teachers, business owners, authors, writers, artists, etc.). In a perfect world, everyone would know the best things about each other at a moment’s notice, but we need resumés and recommendations to “verify” a history of honesty, excellence, and/or performance. LinkedIn operates the world’s largest professional network on the Internet in over 200 countries and territories. Sometimes it’s a first step in the right direction. Sometimes, it’s a platform on which to influence. Either way, if you’re going to be online and like the idea of “professional”, it’s a good place to start. It’s helpful to at least know your options. In a world of ever-changing technology and science, one particularly noticeable category has been the “cloud” and “syncing” data. Maybe it’s not “ever-changing” in this case as much as “still getting going”. SugarSync is on Version 2 (November 2012). The field is continuously changing. Access – desktop, web, mobile. Sync – SugarSync does not just store your data but keeps everything in sync. Share – file or folder sharing/collaboration. Backup – can backup any file on your computer. It’s a great and competitive game out there. 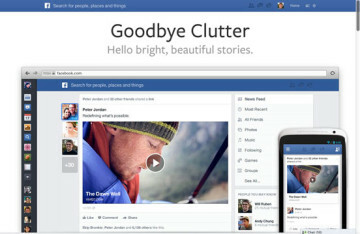 Dropbox, Google Drive, iCloud (if you have a Mac), and others if you have the time. If you’re looking for a clear backup solution, you might check out this post. Like Dropbox, the folder exists on your Mac/PC. You can even place it where you like. Everything syncs. You can access it online. For so long we’ve been hearing about Mac OSX, Apple, iPhones, Dropbox, SugarSync, Google Drive, “Switch to a Mac”…it’s actually almost kind of nice to see some excitement with Windows 8 and the Windows Phone design and style. Just finished a site using Theme Trust’s Reveal Premium WordPress theme. Great customer service. Theme took a little bit of love. Here’s why. Microsoft Logo – officially a window, not a flag. I can’t say enough about Pixelmator. Though it doesn’t do everything Photoshop does and can, it sure does just about everything the average web designer (or computer user) could need for $29. It’s also kind of a pleasure to use. Winners of the 2012 Best Bootstrapped Startup at SXSW (South By Southwest Accelerator Competition), BrandYourself helps individuals control their personal online reputation, without spending thousands on an online reputation company. This is a “Just For People (Not Businesses)”, Do-it-Yourself, Free (or Premium), Integrity-based (“White-Hat”), Open Service. You can check out their process and philosophy regarding SEO to see what I mean. Manage your Online Reputation, Google Ranking, and Personal Branding. The free and easy way to control your own search results. The concept might not apply to you right away, but “If you aren’t happy with what people see when they look you up on Google, BrandYourself is here to help” (NBC/ABC news). The Domain Name System has been in existence since 1983. Though not commercially available until 1985, the domain names idea would lay the groundwork for what would grow into and become the global internet. DomainTools helps us research and monitor the now over 200 million registered domain names. Opened since September 2009, the guys at Theme Junkie have some nice themes available – just under 30 of them at the time of this writing. They offer their themes via single purchases or club memberships, and are worth checking out (check their site for pricing). As a side note, Theme Junkie’s Daily theme was used as the base for a medical blog I helped complete in 2011. It’s a place, especially, for the WordPress user/designer to explore premium Plugins. Who knows, maybe an item in their marketplace will be just what you need for your next (or current) project. 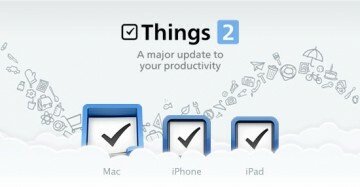 Read my post on OmniFocus for more detail on why I love these sorts of things and then come back if you like. And so the world went viral. Vimeo and Youtube aren’t the only two video hosting services out there, but they are the “big two” in my mind. Update: Check out the post on Wistia. It’s good to know about Google Voice. Their widget and Live Chat could fit nicely into your own site, not to mention simply calling from your computer at any time during the day. It’s not that the WordPress comment system has anything entirely lacking for a basic site, but that the DISQUS comment system adds much more. Sometimes there’s a tool online that fits the niche. Andrew’s Aspect Ratio Calculator has been that tool for me. Though not a “marketplace”, such as ThemeForest, with multiple theme authors, Elegant Themes is well established and worth checking out. With access to over 75 themes for $39/yr, a growing feature list and eye for design, they are worth checking out. For the all-inclusive price of $39, you are only paying $.50 per theme! You are also free to use their themes to build websites for your clients. Lots to learn as you get started – $39 is hard to beat. Check out their Gallery and see if anything strikes your fancy. Premium e-commerce shopping cart plugin for selling both digital and physical products and services. Sometimes working with a blank slate can be the way to go. Especially if it’s Drag and Drop. Publishing and advanced document sharing – that’s Scribd. And it’s not just publishing documents already in PDF format. Publish PowerPoint presentations, Excel Spreadsheets, Plain Text documents, and of course WORD documents amongst others.